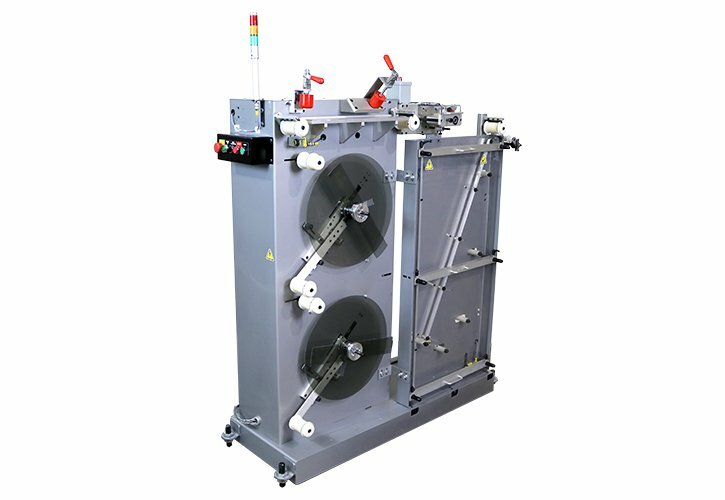 Provides nonstop, uninterrupted labeling with Kirk-Rudy tabbing and labeling systems. The continuous feed dual unwind acts as a stand-alone standard loose-loop powered unwind unit. When the supply roll unwinds to a certain level, a sensor activates a warning light and signals the drive to feed the remaining labels into a holding bin. The operator then splices the end of the web to the second roll as the labels in the bin are consumed. The KR565 is equipped with a low label warning strobe and features clamps to secure the label during the application of the splicing tape. The operator completes the changeover by reloading the empty roll and resetting the system for the next changeover.